Sometimes I just get up and walk away without my keys, wallet, phone... you name it, I've lost it. 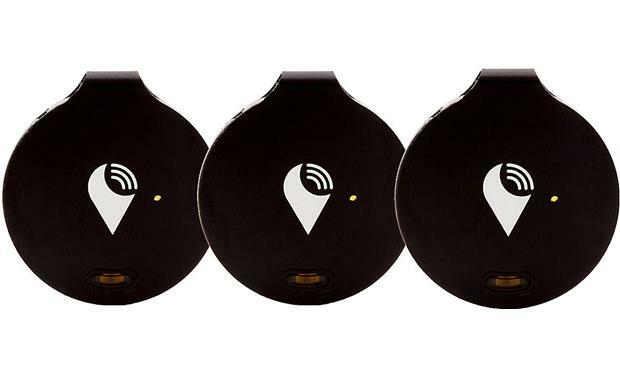 I could use a trio of TrackR bravo tracking devices — each about the size of a quarter — to keep me from leaving anything vital behind. The included water-resistant sleeve keeps the TrackR bravo dry during outdoor adventures. Once you put a bravo on each item you want to keep track of, just use your smartphone and the free TrackR app to locate any tagged item that goes missing. 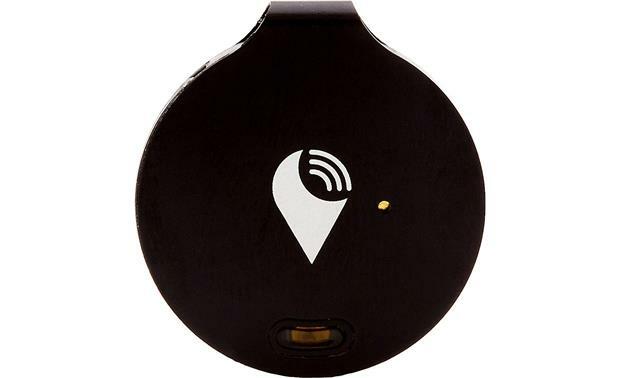 The tracking device connects to your smartphone via Bluetooth®, with an approximate 100-foot range. Each of the bravo devices in this three-pack comes with its own water-resistant sleeve, for added protection during outdoor adventures. But what if my phone is lost? The TrackR app works both ways. If you've lost your phone, push the button on the tracking device, and it will make your phone ring, even if you left it on silent mode. You can even set up a separation alert to notify you when your phone loses its Bluetooth connection to the bravo. That way, you won't leave your important item behind in the first place. If you're far away from your lost item, TrackR's Crowd Locate network will show you its last known location on a map, so you know where to start looking. Crowd Locate is a clever crowd-sourced network. When another TrackR user is within Bluetooth range of your lost item, you receive a location update. You may be wondering: which is a better choice for you, the bravo or the pixel? Much of the difference is in the form factor: the bravo is made from anodized aluminum and has a slightly larger diameter, while the pixel is smaller and made from plastic. Both devices interact with the TrackR app in the same way, but there are some differences in how they alert you when you need to find a lost item. The bravo's ringer is a loud 82 dB. The pixel cranks that up to 90 dB, and adds bright, flashing LED lights for a visual cue. TrackR Bravo: The TrackR Bravo is an easy way to find misplaced items using your smartphone or tablet through the TrackR App. It's a small, lightweight Bluetooth tracker that rings and lights up so you can find anything, even in the dark. Plus, if you can't find your smartphone or tablet, you can press the button on the TrackR Bravo to make it ring loudly. Small and lightweight, so you can attach it to all your important items - from your remote control, keys, wallet, purse, luggage, pet, bicycle, or parked vehicle. App Control: The TrackR Bravo works with the TrackR app (available for both Apple iOS 9.0+ and Android OS 4.4+), which you can download for free on your Apple iOS or Android device. Bluetooth 4.0 LE: The TrackR Bravo uses Bluetooth 4.0 LE to communicate (100' wireless range) with the TrackR app. 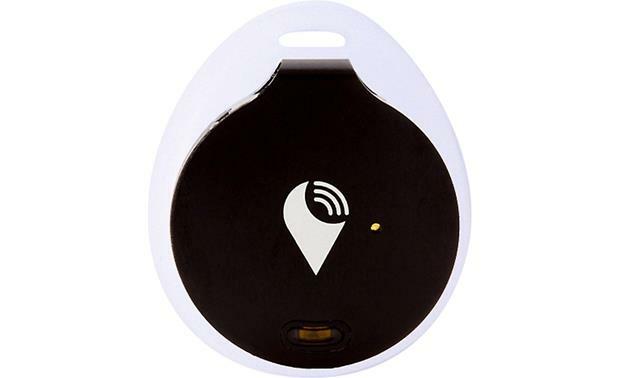 The location of the TrackR Bravo is constantly updated using Bluetooth and the Bravo's approximate location. Because the TrackR Bravo uses Bluetooth, it will need to be initially paired with your Apple iOS or Android device. 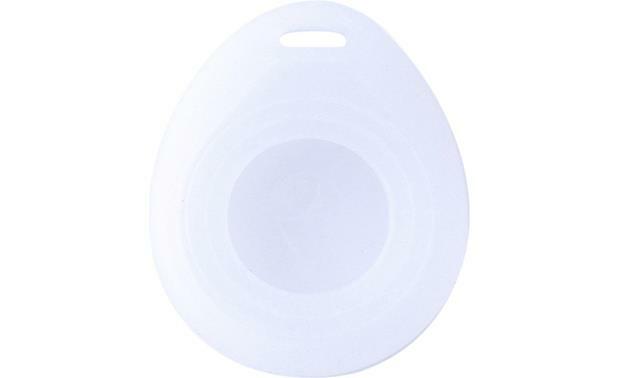 Ringer & Distant Indicator: If you have lost an item with the TrackR Bravo attached, the best thing to do would be to walk around the place you last remember having your item with the TrackR app open on your Apple iOS or Android device. Once you come within Bluetooth range of the device, use the TrackR app to indicate the distance you are from your lost item then make the attached TrackR Bravo ring (90dB). Last Known Location: If the TrackR Bravo is out of Bluetooth range, you can see its last known location in the TrackR app on your Apple iOS or Android device. If you still can't find your item, Crowd Locate can help you track it down. Available in a 1, 2, 3, 4 or 8 pack. Notes: Keep the app running in the background of your phone at all times with Bluetooth "On" and Location Services "On". Doing this allows you to see where you last had your item if you misplace it. 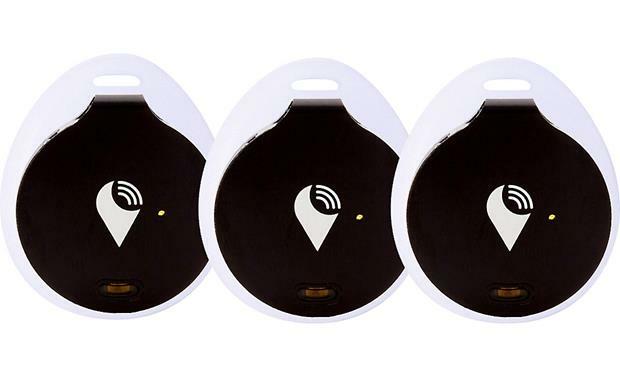 Two-Way Ringing: The TrackR Bravo offers two-way ringing (90dB) for finding your lost item or smartphone within Bluetooth range (100'). When you're within Bluetooth range, simply tap the item ringer within the TrackR app to make the attached TrackR Bravo on your lost item ring so you can locate it. When you're within Bluetooth range of your smartphone or tablet, simply press and hold the button on TrackR Bravo to ring your device - even on silent. Separation Alerts: Custom separation alerts from the TrackR app notify you on your Apple iOS or Android device when you're about to leave behind your item with the TrackR Bravo attached. Alexa Skill: The TrackR app is now integrated with Alexa enabled devices, like the Amazon Echo (sold separately). Alexa integration allows you to ask Alexa to find and ring your Apple iOS or Android device through the TrackR app. Family Sharing: TrackR Bravos can be shared with family and friends, as long as those you are sharing with have a compatible Apple iOS or Android device and have downloaded the free TrackR app. Family Sharing lets you share TrackR devices with multiple people. However, you cannot connect two Apple iOS or Android devices to one TrackR Bravo simultaneously. Set up a group and connect everyone to the TV remote, a tablet, or even the family pet. 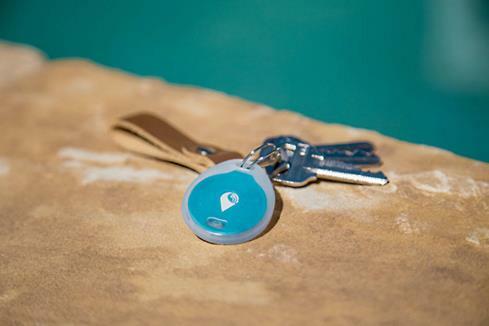 Crowd Locater: The TrackR Bravo does not use GPS technology. Instead, it uses Crowd Locate, special crowd-sourced technology that will help you recover your lost items safely and securely, at no additional cost to you. If you lose your item outside Bluetooth range (100'), TrackR's Crowd Locate network will automatically start looking for your item. When another TrackR app user comes within Bluetooth range of your lost item, its location will be automatically and anonymously updated in the TrackR app. Note: When you open the TrackR app, you can see how many other users are in your area. The number of users displayed on the app are within 30 miles of your current location. Replaceable Battery: The TrackR Bravo is powered by a user-replaceable CR1620 3V lithium "coin-type" battery. Battery life depends on usage, with an average maximum of 1 year. The TrackR app lets you know when the battery is low and allows you to order a new one directly through the app. You can order new batteries through TrackR's Battery Replacement Program as well. 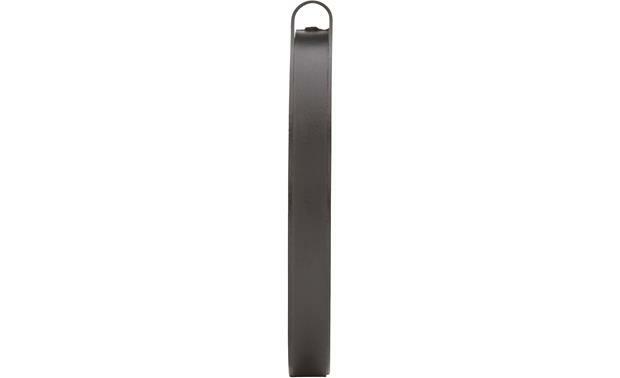 Wallet-Thin Design: TrackR bravo's sleek anodized aluminum construction makes it slim and durable. It measures only 1.25" (w) x 0.1875" (h) x 1.3125" (d). It also comes with a key-ring. Mounting Options: The TrackR Bravo attaches to your item (remote control, keys, wallet, purse, luggage, pet, bicycle, parked vehicle, and more) with the included two-sided tape or key-ring. Water Resistant Case: A water resistant case is also included.